How to Lift Your Email Conversions to 500% with Personalized Video? How do you hold the attention of your prospects or customers? The answer to this is becoming increasingly tough with numerous emails filling our inbox every day. According to DMR, an average person received more than 200 emails a day. This is a huge figure considering 6% of email traffic growth every year. Contrary to this, an average person can hold attention for only 8 seconds. If your email is not compelling enough, you lose a prospect instantly. This is the challenge that every business is facing in recent times. Is there a tried and tested strategy to break through the email traffic? Yes, here’s where the personalized video comes in as an effective strategy to cut through the inbox clutter and stand out from the competition. This article will take you through the best practices in sending out personalized videos and how to improve your email conversion rates. 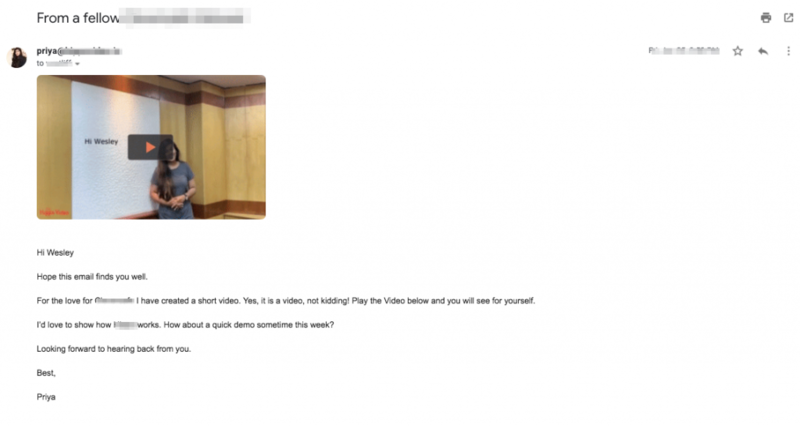 How does a Personalized Video Look in an Email? Personalized videos speak to your recipient giving them a visual feel to what you want to convey. That way you are remembered, and it becomes easy to develop relationships once you have grabbed their attention. It helps with conversions in open rates and click-through rates. 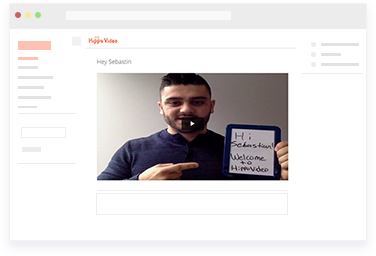 By sending personalized videos, you are focusing on your recipient by giving them individual attention. It’s true that personalized email messages improve click-through rates by an average of 14% and conversions by 10%. Also, emails with personalized subject lines are 26% more likely to be opened. With compelling stats like this, it’s certainly worth sending personalized videos. What to Personalize in Your Video? You would have probably received a personalized birthday video or friendship anniversary video that was customized for you by Facebook. That is a prime example of how you can merge data and video on a granular level to catch your audience interest and create a real impact. The personalized data fits into your video content seamlessly as though it were designed specifically for the desired recipient. Where Can You Use Personalized Video? There are five sales and marketing workflows where the usage of a personalized video has proven to deliver exceptional email conversion rates. Let’s dive into each workflow and see how you can benefit from using personalized videos to the fullest. Other than sales or marketing workflows, you can also use personalized videos when you send a thank-you note to your customers, a webinar or an event invitation or follow-up, social media promotions, etc. Most businesses keep talking about themselves, forgetting that communication has to be two way. When it’s only your business doing the talking, it’s easy for your customers to lose interest and walk away. Smart businesses use personal videos as their communication tactic to nurture customer relationships. Sometimes that means you have to break the selling notion and genuinely empathize with your customers with personalized communication. By striving to provide relevant information, personalized to your customer’s specific needs, you’ll be able to build stronger customer relationships and scale your sales like never before. Personalized interactive videos lessen the burden on your sales teams’ shoulders and make their lives more comfortable. Fortunately, technology allows us to collect customer data based on a wide range of criteria. Beyond the standard contact information, be sure to track anything else relevant to your business that will allow you to personalize your sales communication. Adding relevant personalized content in the video will make your email look less like a robot and more like a human. 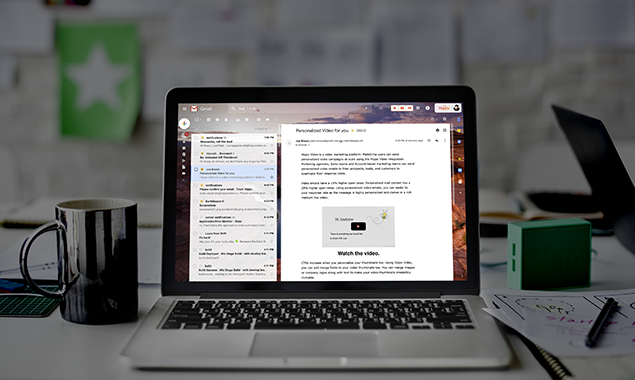 That way you break through the inbox clutter and stand out from the competition. While one to one personal videos are perfect for outbound sales, personalized ABM requires a more scalable solution. This is where personalized videos really shine. Your prospects are going to come across several emails from your competitors. So how do you make sure that your emails stand out? Nothing can be as effective at capturing your audience’s attention than a personalized video. Why? At the end of the day, the prospects you are trying to convert only have time to pay attention to content that is relevant to them. Including a personalized video in your ABM strategy will improve the email conversion rates. You should be able to leverage data — anything from a name to the company details — from your customer’s account. This data can be used to tell a unique story to the customer-centered around their individual problems, and subsequently, demonstrate how your company’s solution solves their problems. 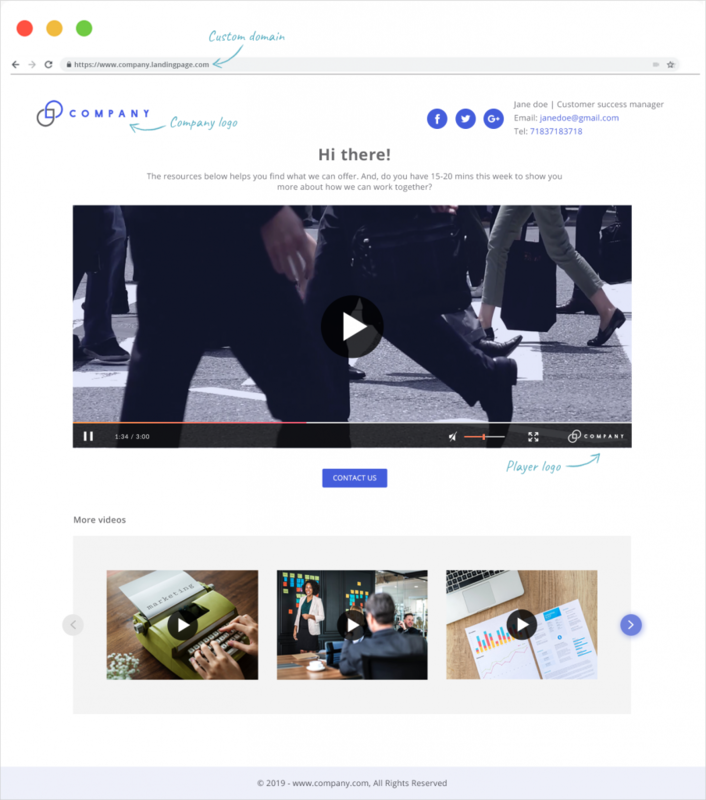 With Hippo Video, each video you send can be automatically personalized to deliver the most relevant content, adapting to each of your prospect’s needs. Personalizing landing pages is one of the critical factors in improving conversion rates. You can start by customizing all the text and video assets in your landing page the way you want your customers to see it. You can add your logo, change the theme color of the video, and add a custom domain to enhance your brand identity. Here is an example of how a hyper-personalized landing page will look. Getting our prospects to click, open and read our emails is an art form. It’s something marketers spend sleepless nights finding out what works and what’s ignored. Adding a personalized video in your mass email campaigns can significantly boost your email performance. When you include a video in an email, the click-through rate (CTR) increases by more than 200 to 300%, according to Smallbiztrends. 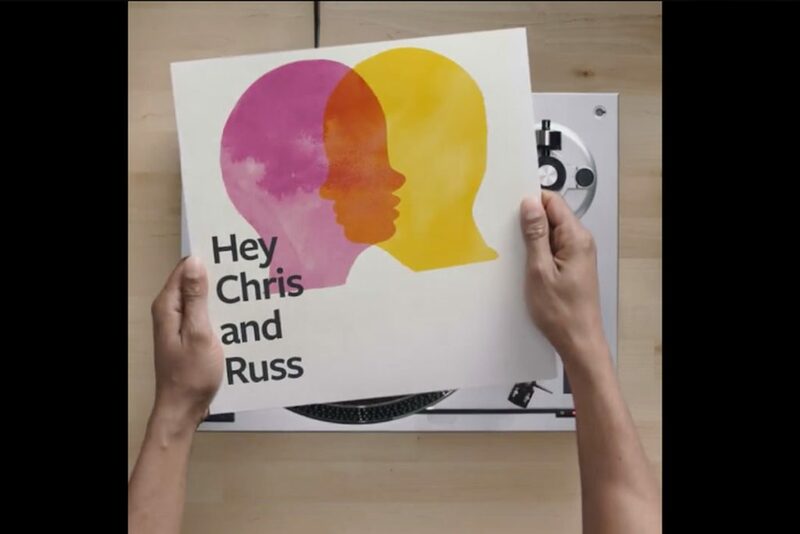 A personalized video is impactful because it speaks to one instead of many. Also, you can deliver unique personalized video content to thousands of recipients with just a click. It’s crucial that you get creative as a marketer and find ways to incorporate personalization into your video marketing efforts as well. Instead of just using an email template, fill in the content, send to thousands and wait for people’s attention. You can either personalize the way you approach your email messaging or the way you create your video. Either way, Hippo Video can help you with creating, sending and tracking your personalized video email campaigns efforts. In marketing, the first impression is what matters. Once you catch the attention of a prospect, you only have a short amount of time to convince them that your brand is a perfect fit for them. Marketers have to weigh every second of the onboarding process to avoid prospects jumping to the competition. We have seen how personalized video is the most engaging and effective tool sales reps and marketers can use. A professional and personalized video that speaks to your customers on a personal level is the best way to meet your audience in the onboarding process. Even if your customer has checked out your brand, or on the verge of converting, the sale is far from complete. That’s why sending a follow up personalized video is important in the onboarding process. A follow-up video that speaks to your prospect’s current situation and highlights the critical information you’ve already discussed with them helps reinforce that you are the right fit. Using personalized videos in your onboarding process will help in every step of your customer journey while delivering an amazing ROI. 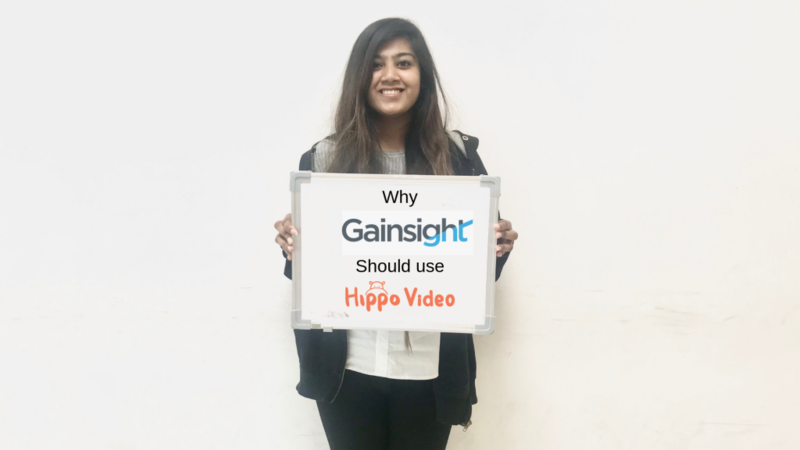 If you’re interested in how personalized videos could help scale your email conversion rates, take Hippo Video a spin and let us know how it works for you.